The rise of healthcare requirements across the globe has given the nursing profession a much-needed boost. Today a number of students are looking to pursue a nursing course in search of lucrative opportunities. 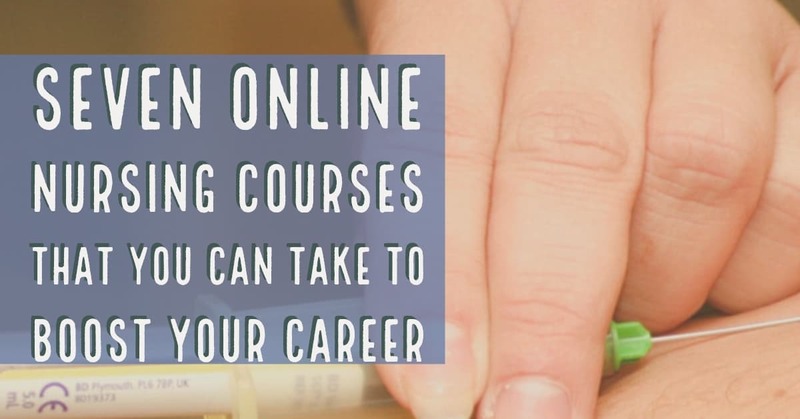 The education system to has geared up for the change in the overall setup and as a result, today nursing course have become aligned with the changing needs of the industry. As the name suggests, here you will learn about basic nursing skills like reading and noting, vital signs, looking for symptoms, assisting patients with regular day-to-day activities like bathing, walking, grooming, etc. You shall also learn first aid basics and other nursing starter stuff. You can take this course to polish your bedside care as well as examination room communication skills. This course will educate you on how to properly perform a routine physical examination, review the patient’s history, process lab tests. You can also choose to focus on a sociality like paediatric care, special needs, and geriatric care. This course will allow, you to learn etiquette and professionalism so that you perform nursing duty perfectly. The course, Human Growth and Development educates about the mental and physical development and the factors that effect this development. The course allows us to get in-depth analyses so that student is able to understand the patient’s condition. Anatomy courses can be fun and challenging. Many students complain that they have indulged in rote memorization to clear the subject. Anatomy intimately deals with the skeletal, muscular, and organ systems. This course helps students to develop an understanding of how the body and organs work. The course also throws light on human growth and mental development. Skills taught during this course include x-ray analysis, dissection, microscopic analysis, and other lab techniques. Today a lot of patients are becoming antibiotic resistant, and therefore pharmacology has become more challenging than ever. This course shall throw light upon an understanding of drug names; their generic equivalents, their purpose, dosage calculation, and possible side effects. The course will emphasize the importance of being healthy and the prevention of disease through a balance of nutrition and exercise. The students of the course shall learn to formulate a wellness plan for the patients. This course shall exhibit how the body’s systems function and how to monitor, diagnose and treat subdued bodily functions. As the name suggests here, you focus on community health issues like maternal deaths, epidemics, etc. Here you learn to concentrate on issues that may be hampering community health. E.g., too many childbirths may be ruining newborn as well as maternal health, bad air quality index may cause breathing issues, etc. This course allows you to study diseases and disorders that are present across the population. You would also need to identify and treat higher-risk groups and take precautions to the prevention of the same in the future. Nursing is a very rewarding profession. The smiles of the patient say it all. However, the course can get a little daunting at times as you are required to do several things at once. However, we are there to help we can offer help when you ask can someone do my nursing homework for me? Till date, we have undertaken homework and courses of several students who are undertaking nursing courses with the University of Pennsylvania, Adelphi University, Clovis Community College, College of the Sequoias, etc.